This is the second post in a series about how linking Google Analytics and Google Ads can help marketers gain deeper insights, create smarter campaigns, and drive better business outcomes. Today’s customers expect the right message at the right time—even as their journeys become more fast-paced and less linear. How are marketers responding? With ad experiences that aim to be assistive and personalized. To create these experiences, marketers are turning to integrated analytics and ads. In our new guide about linking Google Analytics and Google Ads, we highlight some of the actionable steps you and your team can take to deliver the right ad at the right time. Linking Google Analytics and Google Ads puts insight-gathering and ad creation side by side—so that you can easily create campaigns that are informed by detailed site metrics and conversion data. And linking your accounts only requires a few easy steps. Here’s how to get started. Cross Device capabilities in Analytics help you understand how your customers are behaving across their different devices so that you can optimize your strategy. For instance, you might find that, based on cross device insights, you want to increase your mobile ad spend to drive more conversions. Activating Google signals makes Cross Device capabilities available to you. When you create an audience in Analytics then share it with Google Ads, you’re able to create ad campaigns that are specifically tailored to specific segments of your audience. For instance, you can create an audience of all of your returning customers, then create a Google Ads campaign specifically for this audience. Here's how you get started sharing audiences in Google Ads. Goals in Google Analytics can represent any site metric you find important—such as time spent on your site, a specific action taken on your site, or a conversion. Importing these Goals into Google Ads enables you to access valuable conversion insights and site engagement metrics right in Google Ads. Here’s how to create Goals in Analytics and then import them into Google Ads. When you link Google Analytics and Google Ads, you gain access to a variety of reports about your Google Ads campaigns right in your Analytics account — giving you important campaign performance insights that can be used to improve your marketing strategy. Learn more about Acquisition, Behavior, and Conversion reports. Read our new guide to learn how linking Google Analytics and Google Ads together can bring your media performance to the next level. 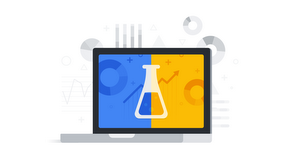 In case you missed how integrating Google Analytics and Google Ads can be a marketer's solution to delivering experiences that meet consumers’ rising expectations, check out our post Google Analytics and Google Ads: A Powerful Pairing. Next up, we'll cover how you can easily gather the insights you need to better understand the customer journey with Google Analytics.